AMID (Advanced Medical Imaging Development) born in 2000 from academic collaboration of its founders for interdisciplinary research. That led to innovative concepts and solutions in cardiovascular imaging. Since 2001, AMID filed 14 patents and developed over 15 software solutions. Its solutions currently equip medical imaging equipments distributed by Siemens Medical Solution (CA, USA); Esaote SpA (Italy); Medison-Samsung (South Korea); Visualsonics (Canada); TomTec (Germany) and a few other minor companies. The same software are also included into offline workstations distributed for General Electrics and Philips. 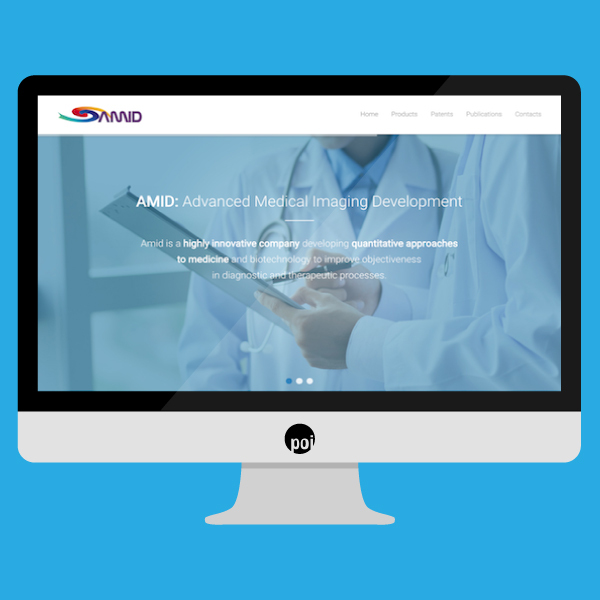 AMID is currently recognized for multi-dimensional and multi-modal medical imaging and is partner of major clinical institutions for clinical research with several hundred scientific papers published with its commercial or prototype software. • Ottimizzazione struttura Responsive (adattamento grafico automatico del layout) per dispositivi mobile Iphone, Ipad, android, windows.